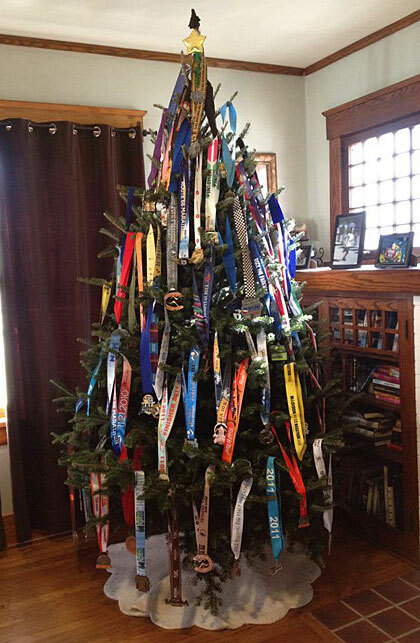 These days I call myself a runner...: Looking for a new stand for your race medals? Photo pinched from an article on Runners World, and originally from someone very cool (I expect) called Amanda Jones! Ha, very cool! I'm definitely nowhere near this with my medal collection! ;) Happy almost-December. Fantastic - I love a good Christmas tree!